This week, I started writing a new book. The idea has been brewing for a little bit and I was keen to start getting it down on paper. It turned out I was really keen as I’ve managed to write 20,000 words in two days – 10,000 each day. 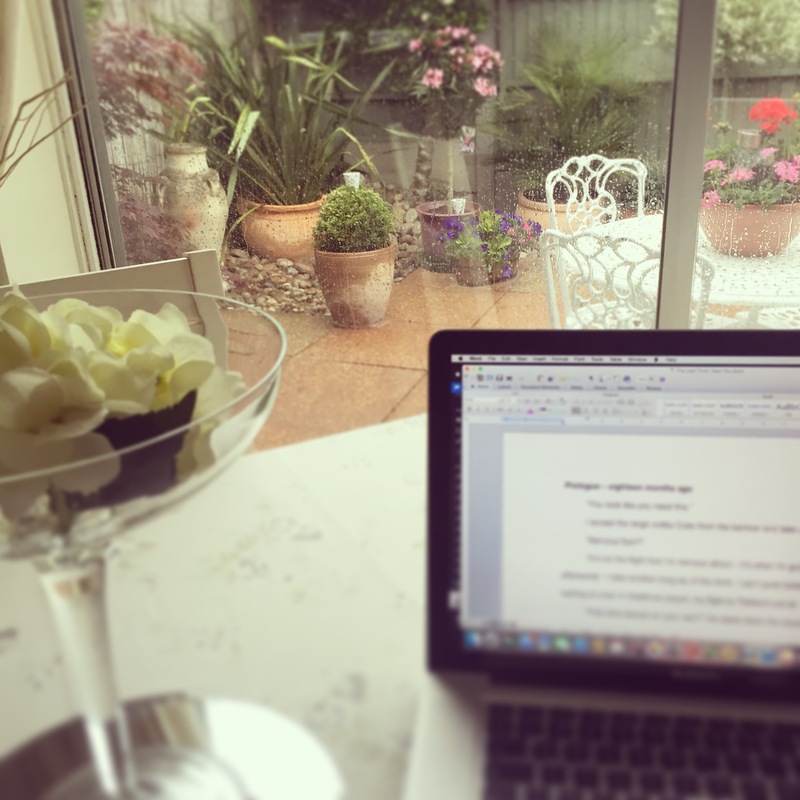 When I revealed my word count online, I was flooded with demands to know how I managed it. Especially as I don’t drink coffee! I am not a planner. I wish I was actually because I think it would means less moments of sitting staring at my screen in mild panic that I have no idea what should happen next on the story. But I also enjoy that feeling. I like finding out where my characters will end up next as they lead me there. I always have a vague idea of the story – and I like to write a blurb for it to get me started – and I know the ending but not how I’m going to get there. I like to be surprised by how it all comes together. And cross everything that it actually will all come together! So the way I was able to get so many words onto the page was because I stuck myself in the chair and stayed there all day. I was so excited by my story the words just flowed. Plus I do just write. I don’t edit. I can’t type as fast as my brain works so when I look back at a page of writing, it’s full of underlined spelling mistakes and Word saying ‘WTF is this supposed to mean?’ So yes my draft needs a lot of spell checking and it will need careful editing but I just wanted to get the framework of the story down, and that’s how I was able to hit that’s word count. Writing is rewriting as they say. I love the butterflies I get when it feels as if I’m onto something. I felt that way writing my debut novel The Second Love Of My Life and I had 10,000 words a day moments on that book too. I get lost in a story and become a little bit addicted – thinking about it all the time and wishing I could just pull it straight from my brain to my laptop. Hopefully it means readers might be as absorbed in it too one day! And the reason why I stick to 10,000 and don’t try to do even more? My brain feels like mush at the end of the day and my muscles ache from being hunched over my laptop. But it’s worth it to be closer to The End, when the rewriting will begin and hopefully it will start to become a polished story, and maybe even one day a book on the shelf you guys can read. So, how many words do you write a day? Do you like to plan your story first? What’s been your best daily word count? I usually try to write about 2,000 words a day, but if I get on a roll, I can go to about 5,000. After that, my eyes and my fingers start getting tired! I know, it can be really gruelling getting those words down! A few times I’ve thought about trying NaNoWriMo but I just can’t churn out the words that quickly, especially when I have other things on. Good for you getting going like that with your novel though! Must be exciting to see where it’s going to end up. I must make more time for writing, I do miss it! I’ve heard a lot of people do really well with it but I haven’t tried it myself yet, it seems like fun if really challenging! Thanks, it is always fun filling up that blank page 🙂 I hope you do! !